An 11-year-old girl has sadly died after a long battle with complex medical conditions. Melody Driscoll, from Croydon, passed away at King’s College Hospital, where she was being treated, BBC reports. 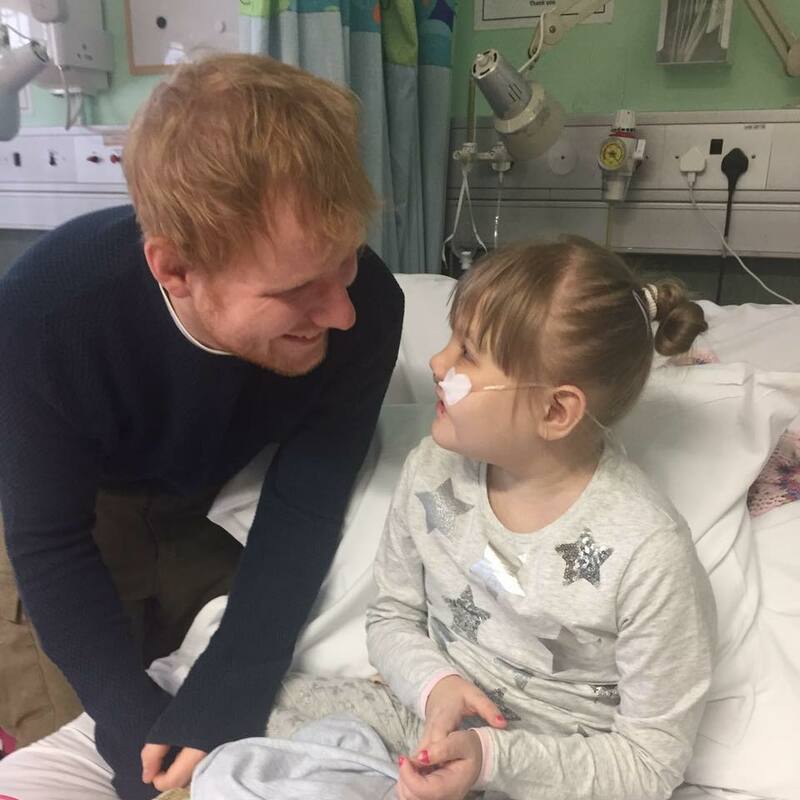 Melody was a huge fan of Ed Sheeran, who had visited her in hospital a number of times and even performed a special concert just for her. 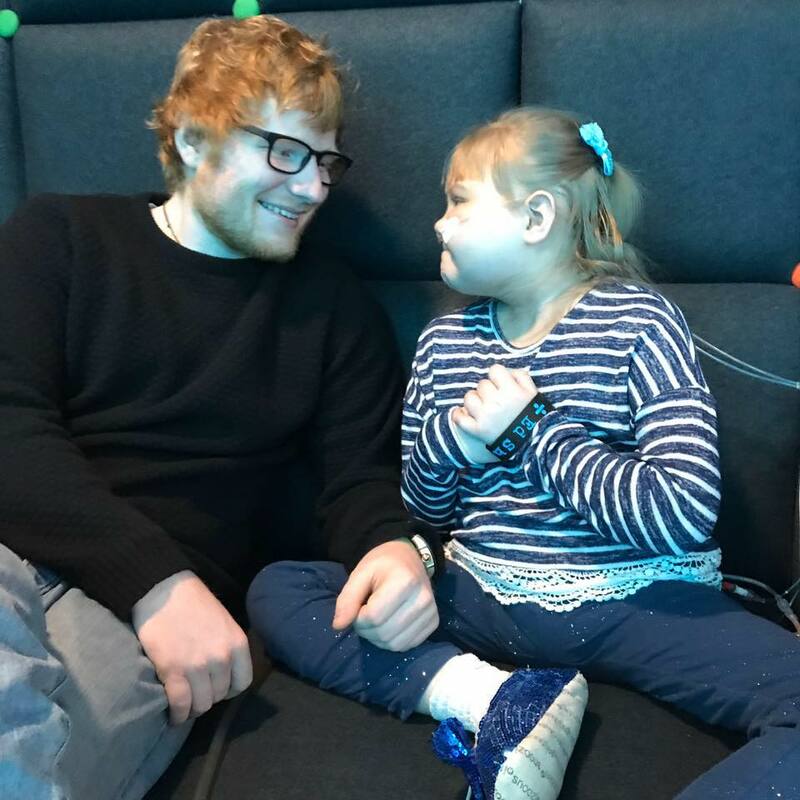 Melody was Ed’s biggest fan, and she would blow kisses at the redheaded maestro when she saw him on the TV. Melody’s mother, Karina, said the pair developed ‘a lovely, instant bond’. 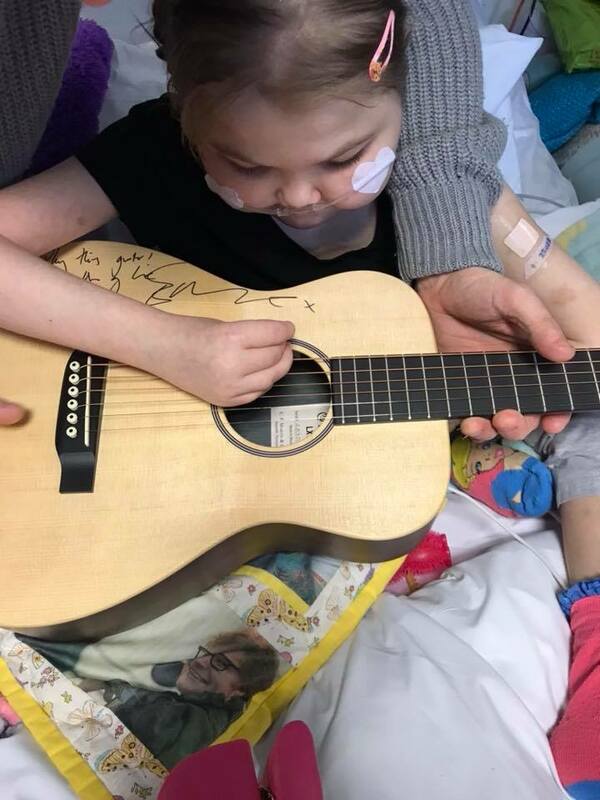 Ed also donated one of his signature guitars to the 11-year-old – which he signed ‘Play this guitar, lots of love, Ed’ – in the hope that the money raised from selling the guitar at auction would help Melody and her family fund their legal fees and the pain medication they needed. Karina and Nigel Driscoll, Melody’s parents, were facing a £50,000 legal fight over the care of their daughter. The family had been in dispute with doctors over the treatment Melody was receiving. Doctors at London’s King College Hospital wanted to ween Melody off her pain medication, which Karina and Nigel said helped relieve her agonising stomach pains, due to the damage it was doing to her liver. The Driscolls said this left Melody screaming in pain and they argued she should be allowed to live out whatever time she had left in comfort. Ed donated the guitar when he heard of Melody’s story and the legal battle, as well as medical costs, the family was facing. We couldn’t believe the support he continues to give to Melody. It’s very overwhelming that a major celebrity could have such a bond with our beautiful little girl. He has the biggest heart in the world and will make an incredible father one day. We can’t thank him enough […] The day he came into Melody’s life was the day God sent us an angel to watch over her. Melody was briefly transferred to Epson Hospital in May this year, but was moved back to King’s College Hospital after her health worsened. After Melody passed away, Melody’s father Nigel said the family were ‘devastated’. We are so, so proud of her. She has put so many smiles on people’s faces and it is a story which has put a lot of things into perspective. Our thoughts are with Melody’s family and friends at this difficult time.